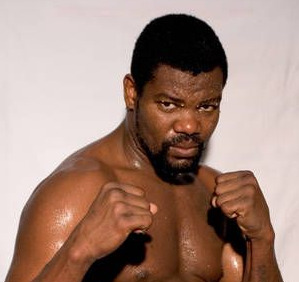 The Black Panther, former WBC cruiser champ (98-01) and WBC heavyweight contender (09) Juan Carlos Gomez, 52-3, 40 years old and again down to cruiser, have the second fight of his comeback November 23 at the CU Arena on the outskirts of Hamburg. Opponent have yet to be announced. This will also be Gomez´s second fight in November as he fought November 1 in Dachau. Businessman and sometimes professional boxer Ismail Oezen co-headlines. All in all there will be eight fights on the bill. EU superwelter champ Orlando Fiordigiglio will not defend the title against Lenny Bottai November 29 as previously announced by Boxe Loreni. Instead Fiordigiglio will take on Daniele Moruzzi December 13 in Rezzato. This is a voluntary defence. Sami Anouche and Mariano Hilario clash for the vacant EU supermiddle title December 13 in Joinville (France). Kwan Sports, headed by Mehdi Lafifi, promotes the fight. Both Mohamed Ali Ndiaye, 23-1-1, and Christophe Rebrasse, 20-2-3, are sidelined with injuries and thus the promoter, OPI 2000, have been forced to postpone the fight that was set for November 30 in Brindisi with the vacant EBU supermiddle title at stake. Ndiaye and Rebrasse fought to a draw first time around, which by ringsiders was described as a robbery with Rebrasse viewed as a clear winner. The EBU reports that lightheavy Orial Kulaj, 13-5, have "serious problems with the Italian law" and is thus removed from his position as mandatory challenger for the vacant EBU title. Frenchman Nadjib Mohammedi, 33-3, remains co-challenger and will now fight the highest available challenger. As for mr Kulaj he is suspected of working as a money collector for a big camorra family and if found guilty will be put away for a long time.